Asian cuisine is one of my favourites and I simply love to smell those amazing flavours in my kitchen. 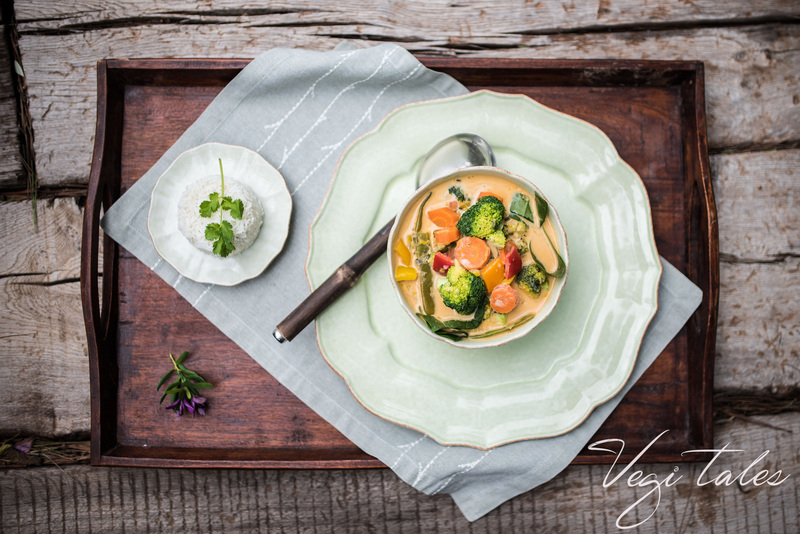 Lemon grass, ginger, cilantro and coconut milk are the main ingredients you need to create a delicious thai-inspired dish! This recipe is quite easy to prepare and will always be a winner, especially if you are a coconut lover. 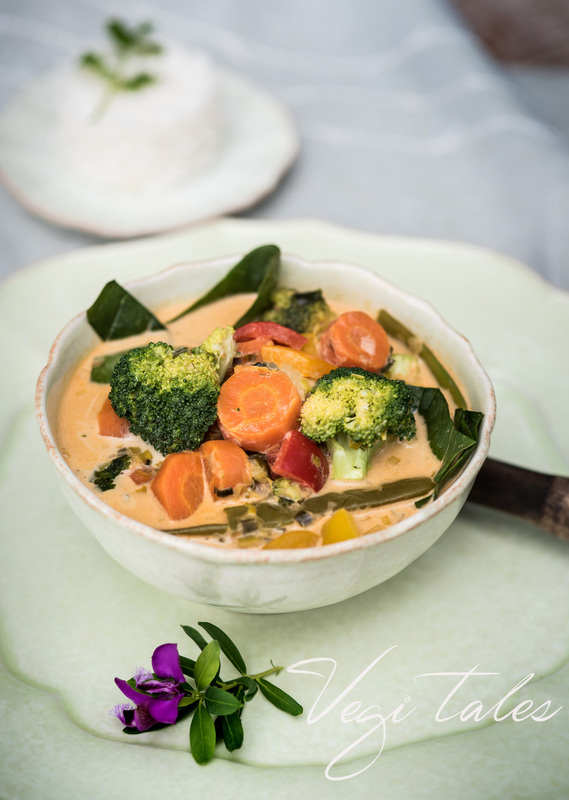 You can serve it with thai rice, jasmine rice, quinoa or even millet grains. A warming meal for the winter or any chilled evening during the year, it’s recommended to be served immediately after preparing. Add coconut oil to a cooking pan and bring to a high heat. Add the leeks and fry for 3-4 minutes. Add garlic, ginger and lemongrass and fry for 2-3 minutes. Add 1 cup of water / veggie broth, carrots & long green beans. When the liquid starts to boil, adjust temperature to low heat and cook covered for approximately 10 minutes. Add coconut milk and bell peppers and continue cooking covered for 7-8 minutes. In a small mixing bowl, add a little bit of the coconut milk from the pan and mix with the curry paste. Add mixture to the pan and stir in gently. Taste for spiciness and adjust as desired. Add broccoli florets and continue cooking covered for about 3-4 minutes, so that there's still a bite to the florets. 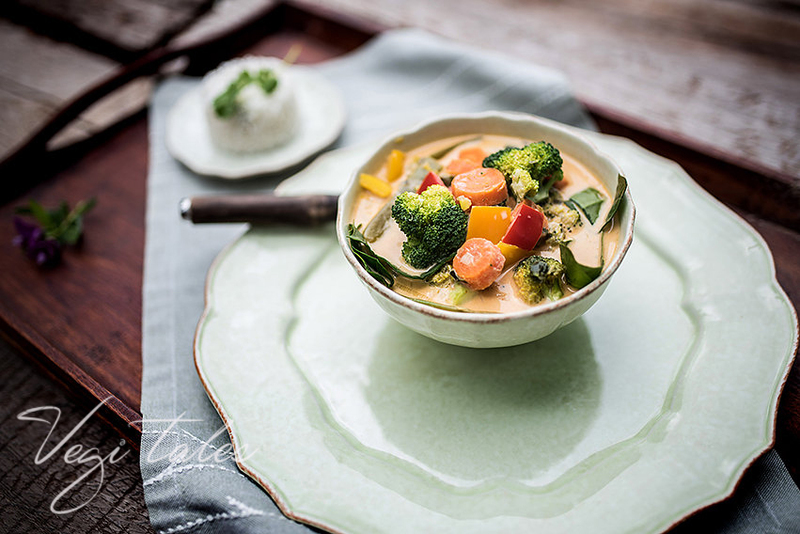 To intensify flavours in the curry add tamari, apple cider vinegar and coconut sugar and set aside (turn off heat). Add spinach and mix well. Cover the pot and let your curry rest for about 10-15 minutes, then serve it warm with thai rice. For your rice, follow the packaging instruction as this may vary. Just make sure to wash the rice really well before using. Enjoy!